The 60mm Waterproof UpClose Spotting Scope is a good choice for bird watching, nature or wildlife observation, hunting, and enjoying scenic views. 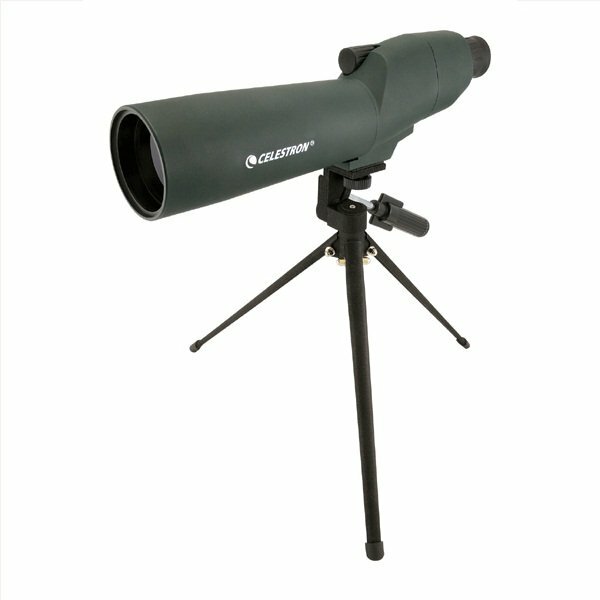 This scope is extremely lightweight (under two pounds) and comes with both a soft case and an aluminum case. The high quality optics come at an economical price and enjoy a Limited Lifetime Warranty (within US/Canada only).